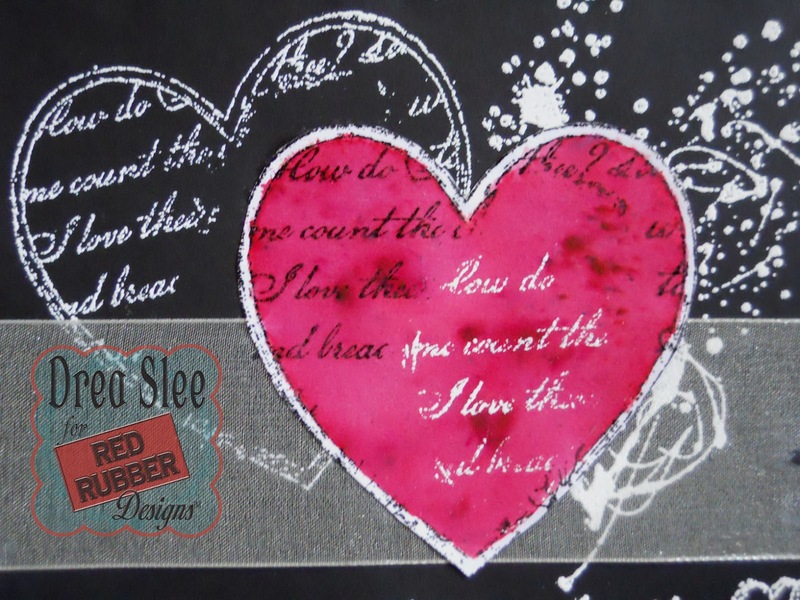 Valentine's Day is less than a week away, so I created a card for my husband featuring the Love & Friendship Unmounted Rubber Stamp Set from Red Rubber Designs. 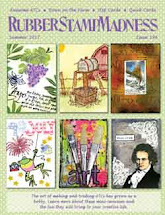 But I didn't stamp the main image inside of the heart, which is an adorable little cherub couple, only because it felt a little too cutesy for him. So I masked them out with some tape, leaving the heart and script. 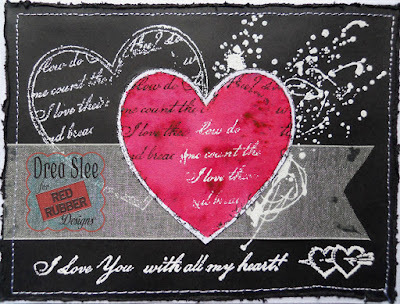 After coloring the heart red, embossed in black onto white cardstock, I embossed the script part again in white. 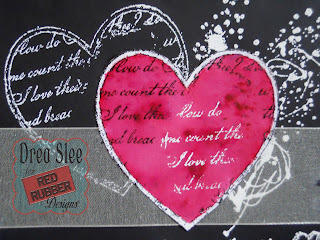 Then I embossed another heart in white onto black cardstock, along with the sentiment and smaller hearts that are in the set. 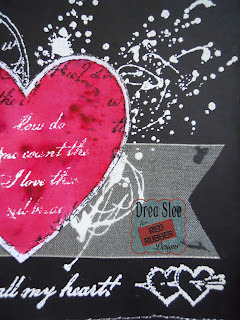 Behind the red heart, I used the So Splattered Cling Mounted Stamp set, adding a strip of sheer ribbon. Finally, I distressed the edges, and machine stitched around them in white for further contrast! 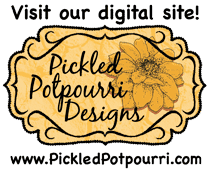 Thanks for looking, and have a wonderful Valentine's Day!